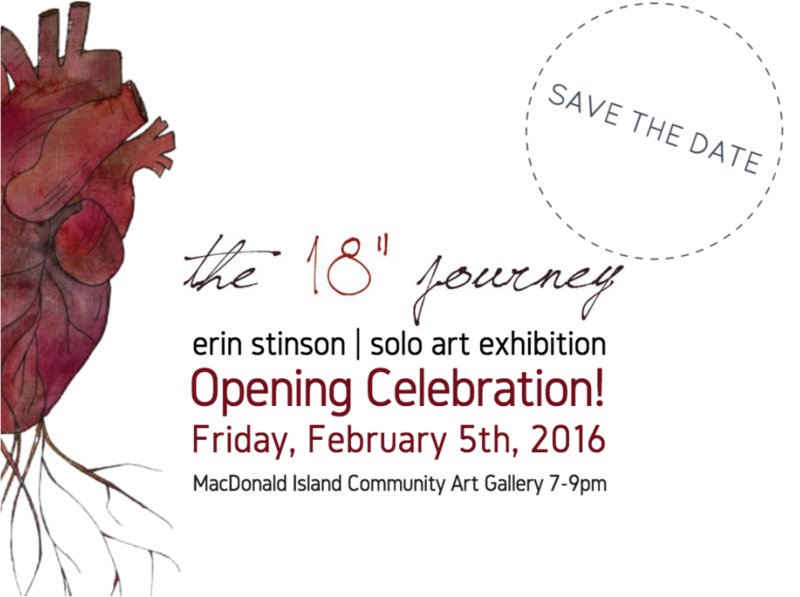 Join me on Friday, February 5th for a night out at the gallery as we celebrate the grand opening of "The 18" Journey"! 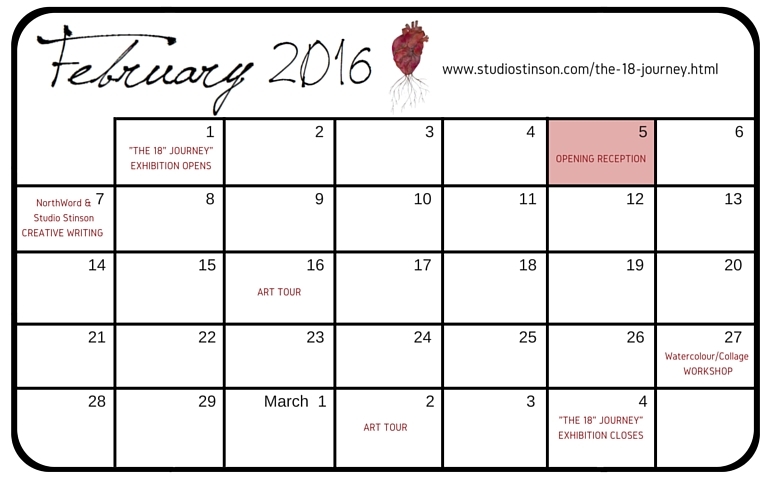 Festivities kick off at 7pm through 9pm with light refreshments, a cash bar, door prizes and more! Check it out on the Facebook event page!